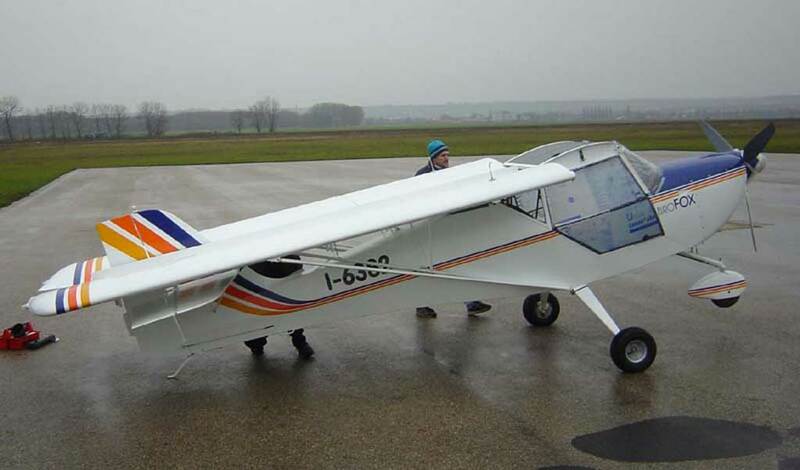 two-seat (side-by-side), high wing, tricycle-gear aircraft quick-folding wings -- just a one-person, eight-minute job! 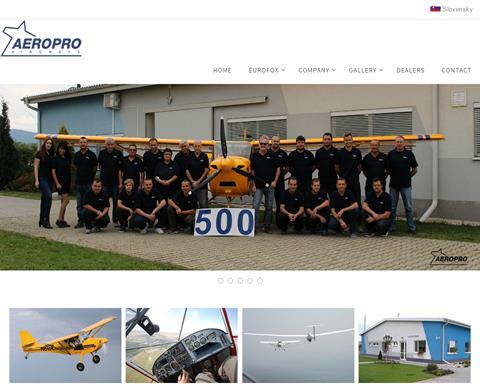 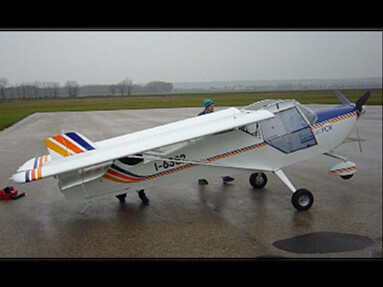 precision-welded 4130 chromoly steel tube fuselage, aluminum wings, with fuselage and wings covered with UV-protected PolyFiber fabric for long-term durability powered by the Rotax 912, 80-hp four-stroke, four-cylinder engine (912S 100-hp engine is optional) heavy-duty five-point firewall engine mount three-blade composite prop with spinner steerable nosewheel with heavy duty suspension heavy duty main gear suspension toe brakes with hydraulic disk brakes on the main wheels with parking brake ram-air intake system for improved efficiency and power special airbox design with carb heat system stainless steel exhaust system Vernier-type throttle control cabin heater and effective dual fresh air vents comfortable plush seats with durable upholstery and four-point seat/shoulder belts large luggage compartment clear polycarbonate gull-wing doors equipped with gas-lift struts and with doors quick-removable (for flying without doors!) 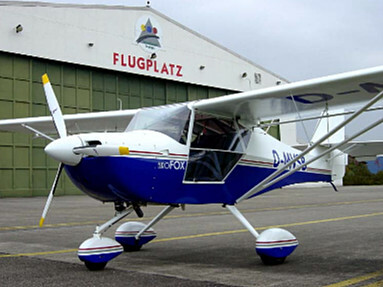 door locks and carpeted cockpit floor large skylights elevator trim and flaps aerodynamic main wheel and nosewheel pants dual landings lights meticulous attention to details large instrument panel complete flight and engine instrumentation is standard and includes: airspeed indicator, 0-20,000' precision altimeter, vertical speed indicator, compass, slip indicator, and Rotax FlyDat digital engine monitoring system which provides for engine rpm, oil temperature, oil pressure, water temperature, four EGT's, and hour meter options available the 100-hp Rotax 912S engine, two-color paint, strobes, and BRS parachute recovery system (see our EuroFox Options web page) the EuroFox is factory-built and test-flown and delivered completely checked-out and ready to fly! 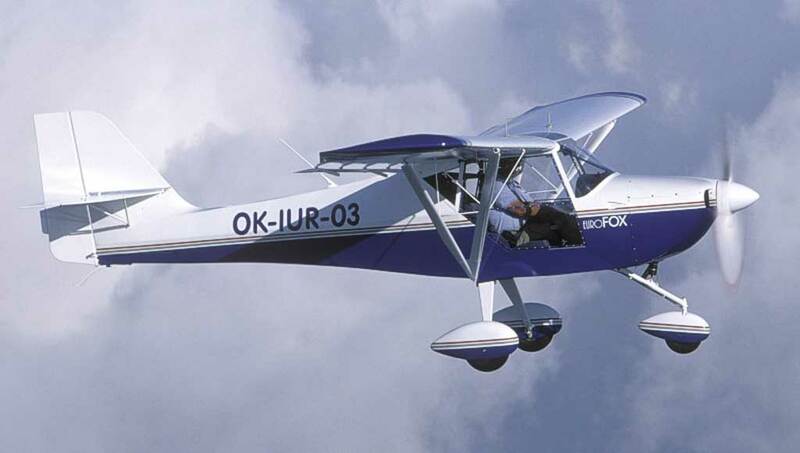 The EuroFox is intended to work ideally under the pending "Light Sport Aircraft" rules, with these new rules expected to be enacted in late-2003. 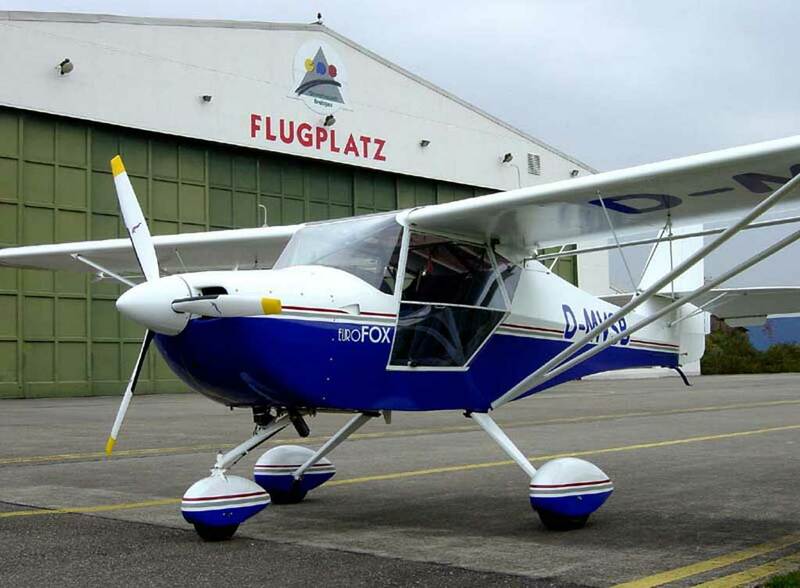 With the EuroFox in this category, it will be able to be flown by existing Private and Recreational pilots, but also by people holding the new "Sport Pilot" license. 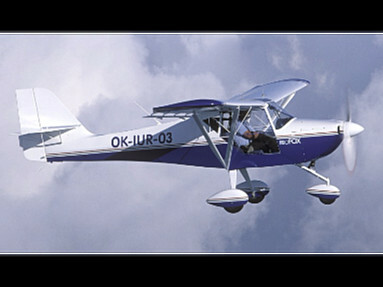 For info about the pending "Sport Pilot" proposal, visit the EAA www.sportpilot.org web site.